By adding symbols to the letters, struggling students are finding success through Touch Math. This is a terrific approach to use with your sensory and visual learners. General education rooms are also now using Touch Math to teach their students in a hands-on way. Wikki Stix manipulatives can assist by offering students a hands-on, 3-D, tactile experience. 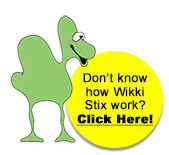 Wikki Stix can be used with worksheets, on the board as a demo, during math lessons and more. Wikki Stix are also great for fine motor skill development: an added bonus of using the product in the classroom with children who need fine motor practice. Create printouts of numbers 1-9. Use a Sans-Serif font (i.e. no hat or tail on the #1 and no closed #4). Good examples of Sans-Serif fonts are Arial, Helvetica and Myriad Pro. Wikki Stix (two different colors). Roll the Wikki Stix into curled circles to use as your Touch Points. Use a second Wikki Stix color for your outer Touch Points. Place, or have the child place, the Touch Points in the proper locations (see our image). Touch and count! Each solid dot gets one count. Each double dot receives two counts. For instance: on #7, the first solid dot is one count. Each additional double dot is two counts. This will total seven. Add-on idea: cut the printout numbers (about 6×6 or 8×8) with a paper cutter and laminate each one. You can use the laminated cards again and again. The Wikki Stix will easily pull off and can also be re-used. For a complete description of how to use Touch Math visit the Touch Math Slideshow. 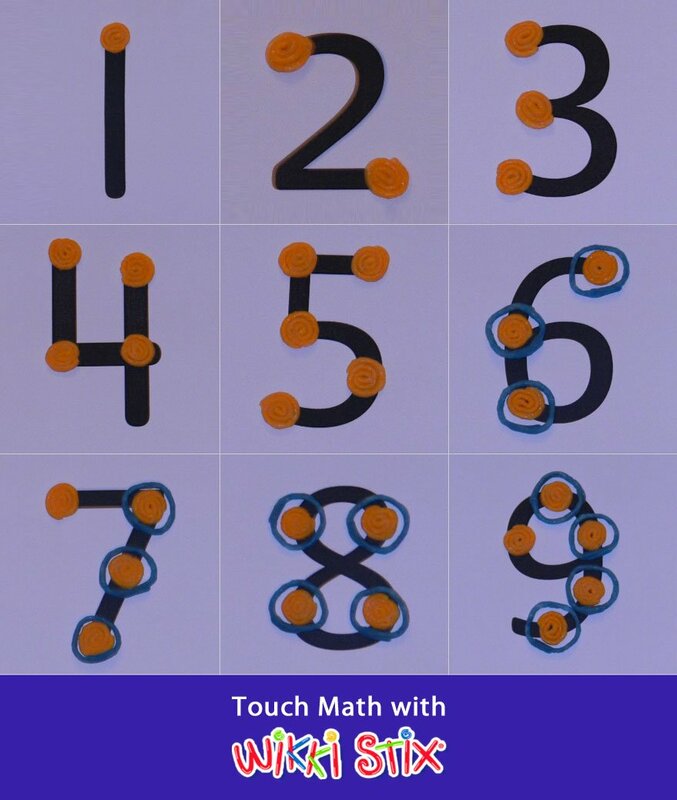 Locate a few free printouts from the Touch Math site.